This experiment is good to demonstrate water pressure. Things you’ll need: a water bottle with water, modeling clay, two straws, and scissors. Use the scissors to cut one straw to be shorter than the other. Use the modeling clay to hold the straws together as shown in the picture. Place the straw and the modeling clay on the bottle as shown in the picture. (Warning: don’t let one of the straws touch the water and don’t let any air come out from the bottle). Seal the clay tightly and close all the holes. 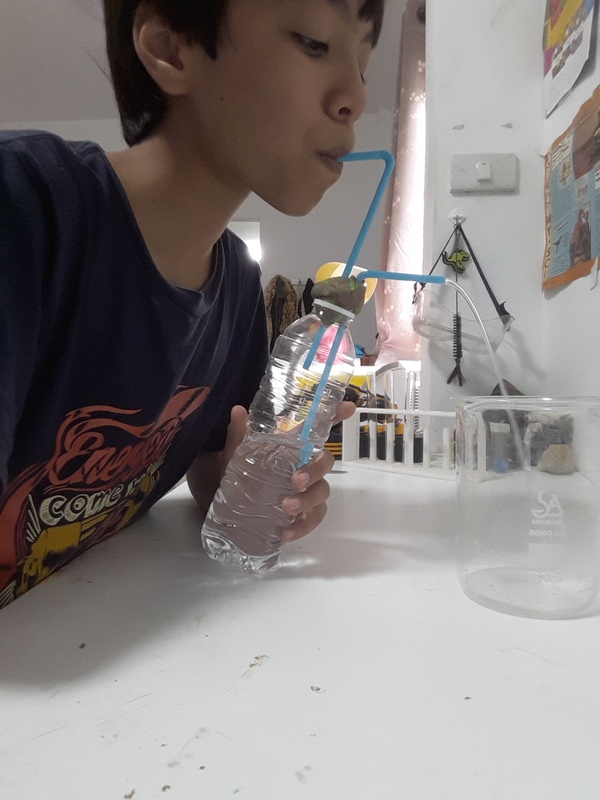 Blow the straw that didn’t touch the water and the water will come out from the other straw. Water pressure is a measure of the force that gets the water through our mains and into your pipes. It is measured in ‘bars’ – one bar is the force needed to raise water to a height of 10 meters. 0.1 bar equivalent to approximately 1.45 pa of pressure. With low-pressure water systems, you’ll want to measure your water pressure precisely to find a tap or shower that will give you optimum flow. The red arrows are water pressure.